Today, Green Street Academy was approved by the Baltimore City Public Schools Board of Commissioners to become a charter school. After petitioning by more than 200 GSA community members, students, parents, teachers and trustees, Green Street Academy was approved to begin operating as a charter school on July 1, 2014. As a charter school, GSA will have greater flexibility in implementing its innovative project-based learning curriculum, teaching green jobs skills to scholars, and expanding to serve almost 900 students as both a middle and high school. Today, GSA serves 325 students in grades 6 through 8. 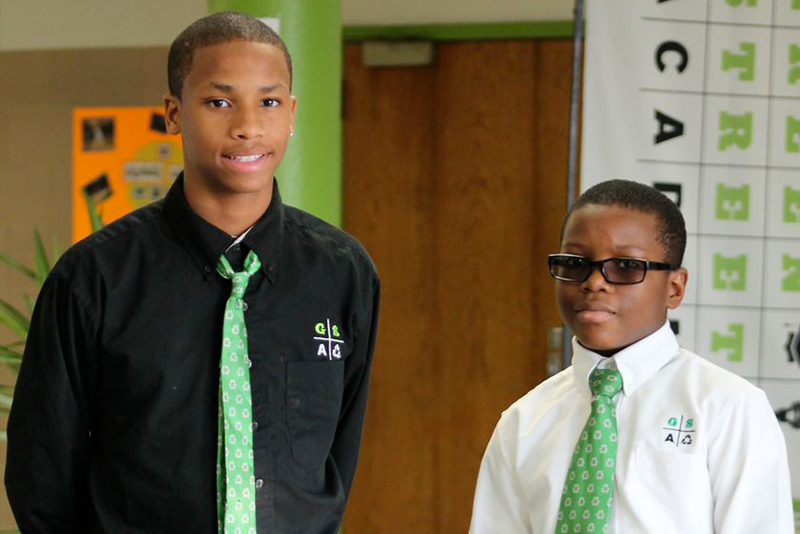 Since its founding in 2010, Green Street Academy has made spectacular gains, including achieving among Baltimore City’s highest gains in MSA scores in 2012. Just this year, a GSA special educator was named Baltimore City’s teacher of the year, a 6th grade science teacher won the prestigious Siemens fellowship, students won national competitions in environmental education, and produce grown by students at GSA Farms has appeared on restaurant menus from Woodberry Kitchen to Classic Catering.